The architecture of Iron involves synchronous requests processing, which can be easily affected by a large number of simultaneously open connections. 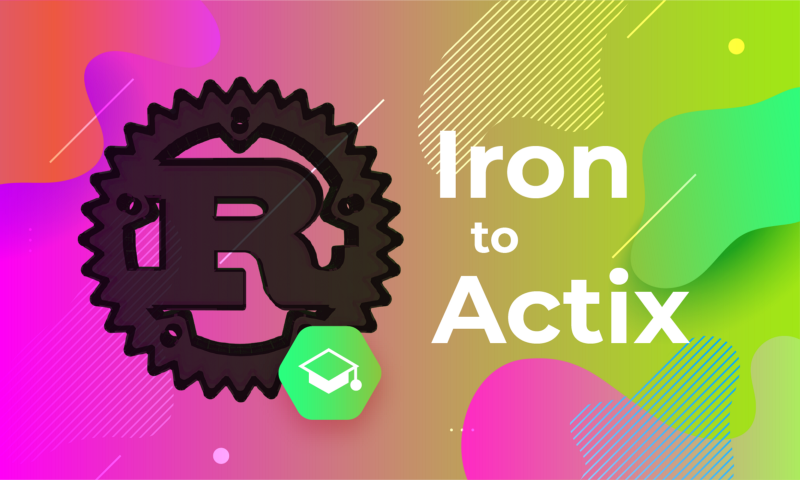 To be scalable, Iron needed to become asynchronous, which would involve rethinking and rewriting the whole framework. As a result, we«ve seen a gradual departure from using Iron by software engineers. Previously, concerns were raised that actix-web contained a lot of unsafe code. However, the amount of unsafe code was significantly reduced when the framework was rewritten in a safe programming language — Rust. Bitfury«s engineers have reviewed this code themselves and feel confident in its long-term stability. Next, lets devise an adapter which wraps a specific implementation of `Endpoint` into a RequestHandler for actix-web. Pay attention to the fact that while doing so, the information on Request and Response types disappears. This technique is called type erasure — it transforms static dispatching into a dynamic one. Firstly, let«s rewrite SimpleExtractor so that it can distinguish between synchronous and asynchronous results. At the same time, we will implement the `From` trait for each of the cases. Note that traits can be implemented for specific variants of generic structures. The final step is to devise a facade that would accept closures and add them into the corresponding backend. In the given case, we have a single backend — actix-web. However, there is the potential of additional implementation behind the facade. For example: a generator of Swagger specifications.